Meaningful employment is the top priority, after health, during the transition from the battlefield to the home-front. For many veterans, transition is made more difficult due to not having transferable job skills from the military into the civilian workforce. It is true, the veteran unemployment rate has drastically improved in recent years; however, these numbers do not account for the those underemployed (working in a position which they are overqualified for) or for those working a “job” which provides no meaning or career path. The statistics also don’t account for the number of military spouses who have been unable to obtain or maintain a career due to the relocation requirements for a military family. The training and education opportunities HOH provide give both the veteran and military spouse the skills necessary to be successful in today’s competitive business world. We cannot do this alone. If you have the time and talent to help out in any of the above ways, please fill out the Volunteer Registration form and let us know! Become an online advocate for our vets by sharing a Facebook post, tweeting, or adding an image to your blog or website to show your support for HOH’s mission. Use the power of social media to show your support and enlist other in our mission to honor and empower our vets. If you support our efforts to serve and give back to our veterans, please take a moment to tell your friends about us. Simply use the social media icons to make it easy. Show your support for our nation’s veterans by adding a banner to your website or blog. Stay up to date and connect with HOH on social media through Twitter and Facebook. #HOH when mentioning us on IG, or Twitter. Follow us on LinkedIn for career updates and job listings. Fundraising events are a unique opportunity to raise donations while having a great time. There is no limit to the size or possibilities for your event. If this is something you are interested in doing, please contact us and we can assist you in organizing and promoting.  • Assistance in booking a relevant guest speaker to discuss the unique challenges of veteran hiring in today’s business environment. One of the easiest ways to support our cause is through your donation. These funds are what enable us to make all of our programs available. While our focus is on training and education, we also have a program which enable veterans to become a certified professional after completing training and another to assist with the cost of travel to participate in an interview. You can make your tax-deductible donation through this link.